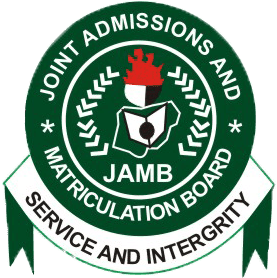 The Joint Admissions and Matriculation Board (JAMB) has advised potential candidates for the 2018 Unified Tertiary Matriculation Examination (UTME) who have purchased their pins to complete their registration for the exam within 24 hours. A Tuesday statement by JAMB spokesman, Fabian Benjamin in Abuja said body would no longer entertain any complaints regarding incomplete registration. Benjamin released the statement on the occasion of the close of sales of forms for this year’s UTME. The statement read in part, “Joint Admissions and Matriculation Board wishes to inform the general public that the sale of 2018 UTME application is closed. “For purposes of emphasis, this applies to only candidates who had initiated registration processes and have paid and procured the registration e-pins but could not registered at the closed of sales. “Take note that candidates are not to generate any profile codes (55019) for the purpose of 2018 UTME registration as doing so would have no effect and a waste of time and resources. Profile codes generation through 55019 will only be used for Direct Entry Registration which is still ongoing. “The Board commenced the sale of the 2018 UTME registration on the 6th of December, 2017 and was to close on the 6th of February, 2018 but extended to 11th of February, 2018.